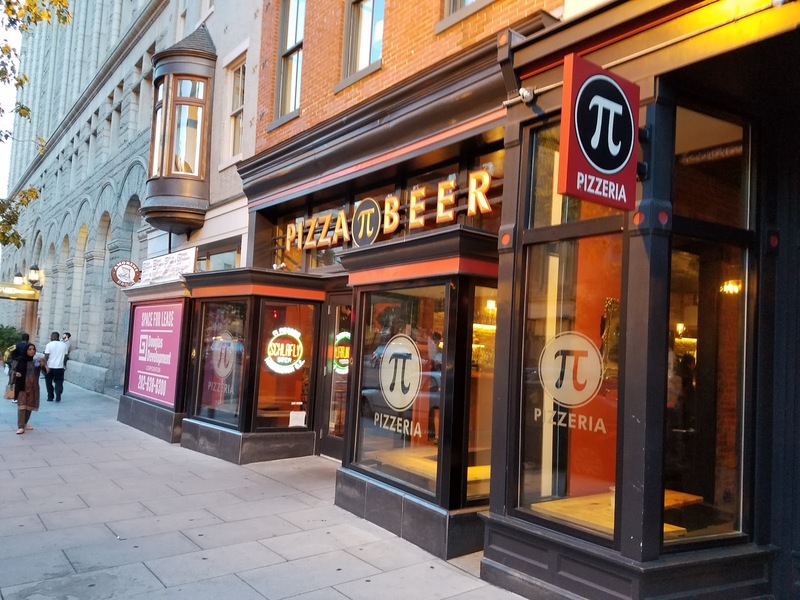 I know that I'm the NEPA Pizza Review, but I couldn't resist going on a pizza binge on a recent family trip to Washington DC! After walking miles and miles, I found DC didn't have the quantity of pizzerias that New York City had, but with some heavy walking and metro use, I was able to hit quite a few spots. Yes I felt totally gross after eating all that pizza (including 5 different pizzas in less than 3 hours! 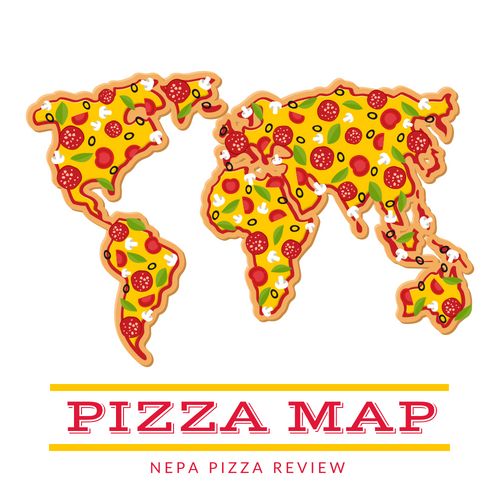 ), but I felt an obligation to keep going so that I could report back to the 570 to let you know how our pizza stacks up against our nation's capital. Deep dish pizza is something that we don't have a lot of in NEPA, so I was excited to give Pi Pizza a try after the server told me Chicago Style was their specialty. 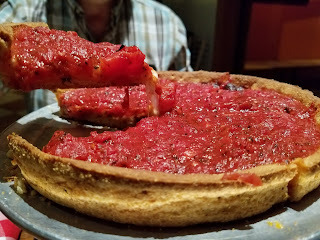 After we ordered, I was surprised at how quickly the pizza came out since a deep dish usually takes a little longer to cook through. The pizza was small, but filling. 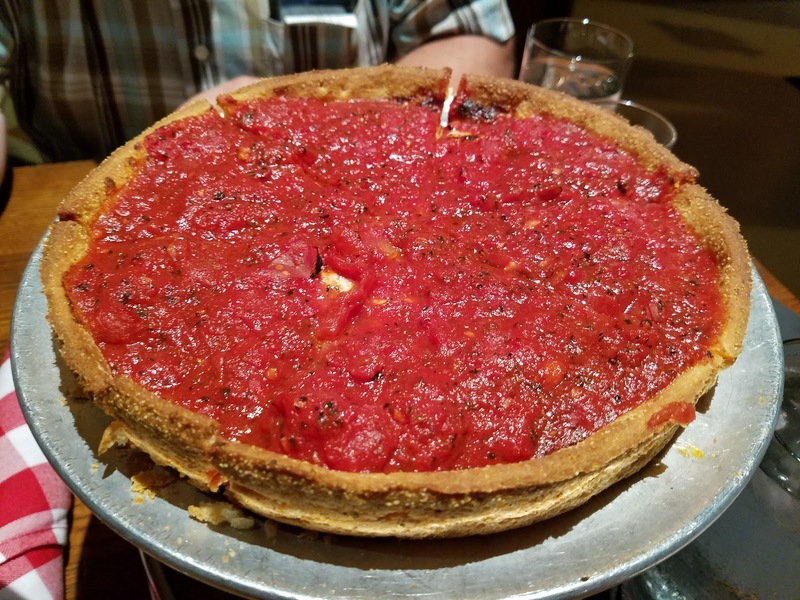 The presentation might look a little strange to some, since the sauce and cheese are essentially flipped upside-down, but this is customary in the chicago world. The server asked if we wanted another layer of cheese on top, I guess to make it look "normal", but with all the filling inside this pizza I declared it unnecessary. 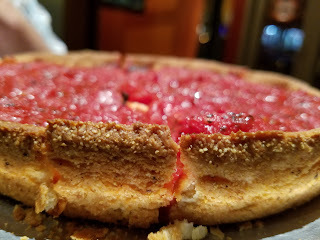 We skipped the toppings on this one since vegetables on a deep dish sometimes create a soupy, soggy, and wet pizza if not strained or prepared properly. When the pizza came out, it was the direct oppossite of soggy. In fact, it was as crispy and crunch as can be. 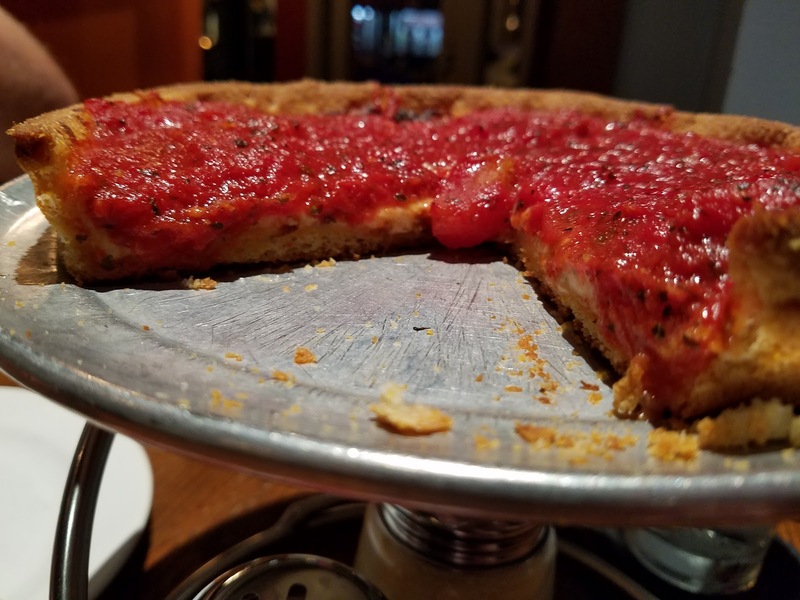 The dough was more similar to a pie crust than it was to your traditional pizza dough. 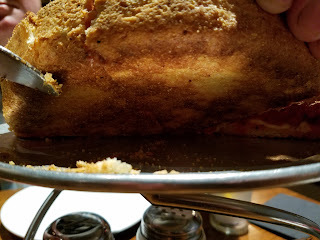 It held all of the ingredients inside mightily! I'm a sauce guy, so I enjoyed the chunky, zesti (although with a slight metallic taste) sauce resting atop the cheese and crunchy crust. I only had half of this seemingly small pizza, but it really filled me up. 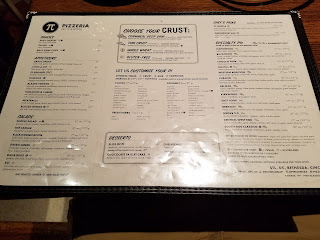 Overall, I did enjoy the pizza and the atmosphere at Pi. It was relaxed, yet had a modern feel to it. The service was excellent, and the prices weren't too bad either. Although, the 10% DC sales tax really starts to hit your pocket after you eat out time and time again!